April 1 News | Jobs in Film, Radio, Audio. on Striving and Thriving on Maui! Shortly after completing his externship with mentor Zack Phillips at Freq Lab in San Francisco, CA, Recording Connection for Audio Engineering & Music Production graduate Jason Abranches made the move to the easygoing island of Maui. Thanks to Jason’s determination, it wasn’t long before he landed a job working with producer/engineer Lynn Petersen at Maui Recording. Since then, Jason has recorded and done live sound for some of rock’s most iconic names including Mick Fleetwood, Stevie Nicks, Steven Tyler, Brian Johnson of AC/DC, Sammy Hagar, George Clinton, and more! We recently caught up with Jason to talk about his experiences and garner a bit of advice to share with Recording Connection students. Enjoy! What kind of audio work do you do on Maui? Talk us through some of the nitty-gritty of your day-to-day work. “I’m a privately contracted audio engineer. So, instead of only working exclusively for one private company, I’m hired directly by bands, venues, other sound crews, and AV companies. I’ve done a lot of corporate work such as weddings or big company events. Those gigs pay great but my passion has always been in blues music… Over the years I’ve worked my way from a stagehand to being behind the controls, typically spending show nights hiding right behind Mick [Fleetwood] with my iPad, controlling every monitor on stage and in constant communication with everyone involved (musicians, sound crew, photographers, stage managers, security, etcetera). Every move is planned to precision. Along with my iPad, I have a set-list with me chalked up with cues. I am constantly adjusting stage mics and props as special guests come on and off, and different instruments are used, and I’m in charge of making sure the musicians are prepared to take the stage.” We know the hours can be crazy. Could you tell me more about a gig that was particularly long or grueling? You just released a new album. What can you tell us about the project? “It’s a full length album, called What Was I Thinkin’?. 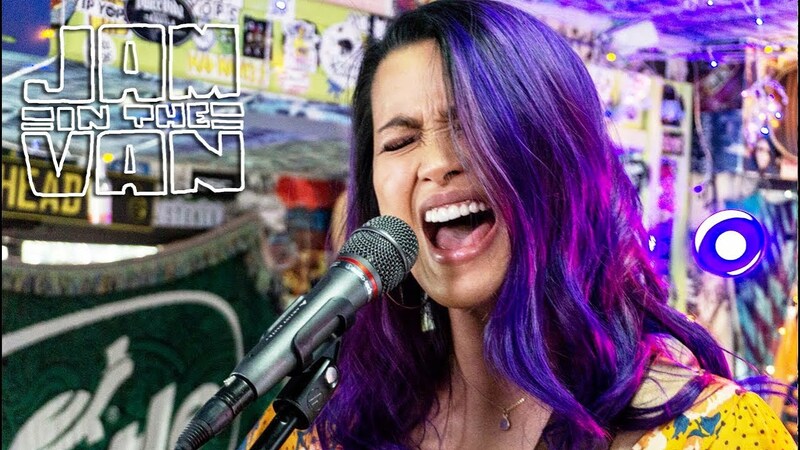 I co-wrote it with my friend Maddy Gill, who recently moved to Maui from New Orleans. We named our group Haiku Hiatus since we wrote and recorded the album in the jungle of Haiku, Maui. It’s a mix of soul, blues, with a twist of urban hip hop. I produced the album as well as performed on it. We just released it and so far the response has been great!” It’s been a couple of years since you graduated Recording Connection. What do you have to say about your experience with us? “Recording Connection definitely helped me get my foot in the door with Mick and everywhere else. I hang my certificate in my home studio with pride. Not only does it instantly prove to potential employers that you know what you are doing, but also that you are dedicated and truly in this. A lot of people think it’s going to be all roses, hanging with celebrities and this and that, but when they see how hard the work can be and the dedication it takes, they fall off and quit…Audio engineering is a deep science and if you look at it as just setting mics and turning up the volume…good luck to you. It is extremely hard work sometimes! It’s extremely stressful at times. But it is also an amazing life to live. I’ve learned a lot about myself through these experiences. I refuse to fall away from the dream. This certificate was the key that opened the door to a new life for me. But, always, always, always keep studying. You will never hit a point of knowing it all. Keep striving and you’ll keep thriving.” Haiku Hiatus’ What Was I Thinkin’ is available on Spotify, Pandora, CD Baby, and more. View Recording Connection’s in-industry programs. Recording Connection mentor Dylan Drake observes extern Osman Trigo on keys. Recording Connection mentor Dylan Drake of Forte Studios believes every career in audio should be built upon a strong understanding of the fundamentals of the craft. From sound waves and acoustics, to composition, to setting up the patchbay, learning the ins-and-outs the right way, then being able to do the work independent of any oversight is the mark of someone who’s ready to work in the industry. We recently reached out to learn more about Dylan’s approach to mentorship, and to hear about a star extern of his, Osman Trigo. So Dylan, what’s your approach to mentorship? What are you trying to instill in the students you train? “I definitely try to think of things holistically as far as seeing it from the perspective of the artist, always relating it back to the fact that we don’t do this work in a bubble… Even as producers or artists ourselves, someone like Osman who’s on the artist track…there’s still so much collaboration that happens in that world… [So]we’re constantly asking, ‘Does the artist feel comfortable? Are we establishing trust?’ And that’s going to come from us really knowing our stuff, being very knowledgeable about the technical side of things so that [the artist] doesn’t need to worry about that. Being knowledgeable about songwriting, the structure of things, the arrangement, and then, of course, how other commercial releases sound and the whole technical side. Thinking about what the artists need, it takes care of a lot of needless talk. You’re able to always relate it back to ‘What does the song need and deserve?’ and ‘How do we build that trust with the artist?’” Tell us a little about Forte Studios. What are you all focused on? “We are focused on serving the Midwest. The whole idea here was to really build a facility, an excellent facility, a place where people could come. They didn’t have to go out to Nashville or L.A., they could stay in their region and record great music… Certain ways we give back is helping artists out on the backend with business planning and helping promote the releases. I also have some contacts in sync licensing and things like that which we try to get them plugged into. We’re also doing things like free monthly workshops. We’re helping artists connect with others in the studio who otherwise they might not usually meet, and teaching them things about lyric development, music theory, how to build a better brand image in business…just so that they’re equipped and we can really start to see a community come together along with the really good music that accompanies that sort of thing.” That’s awesome. You recently mentioned your extern Osman Trigo as being especially dedicated to his training. What makes him stand out? “He’s very driven. He has the support of his family, which I think is a huge step for anyone trying to make it in the industry. He is working his own way through the program, helping out with his dad’s business. He’s always showing up very dedicated. He’s determined and is not going to let anything stop him from learning. And I just think that mentality in this industry is really one of the most important things that any engineer, producer, or artist can have.” He’s on the Recording Connection for Ableton Live Electronic Music Production Ableton-specific track….He came in not really knowing much of anything about programming, about the DAW (Digital Audio Workstation), about electronic music production…. [For me] being someone who has taken a lot of leaps into things that I don’t necessarily know how I’ll get myself out of, it’s really encouraging to see someone that bold who would say, ‘I don’t really know anything about this, but it’s what I want to do, I have conviction about it. So here I am, what do you have to teach me?” What kinds of things are you teaching Osman while he’s there at Forte with you? “We do a lot of one-on-one time [and] practical application where we’re focused more on making music than necessarily going a textbook approach or something like that. We’re definitely using the material, but in that we’re trying to get back to what he would be doing on a day-to-day basis as a producer and as an artist himself… Even though that’s not his specific focus, I think there’s so much value to being able to learn about microphone techniques and just the physics of sound and how you set things up in the room and overcome just simple things like gain staging and signal flow applications, all of those things. What I really like about the Recording Connection and that aspect is that everyone is getting a very holistic view of what happens in the studio…[There’s so] many different facets and ways that Osman can take those things and use them in his own production. It gives him an edge over people who may be just self-taught or YouTube-taught or any of those things…It’s great to be the antithesis of that with one-on-one mentorship.” So why to you choose to mentor for Recording Connection? “It’s so fun seeing the lightbulb go on and you see their eyes light up… [It’s] that same thing I recognized in myself when I was going through school and learning things. There’s nothing more exciting than figuring out how to do something that you’ve always wanted to do, something that you may have thought was impossible. We all grow up hearing these sounds on records that we love, and we just think, ‘Well, that was like a one in a million chance. They got lucky and there’s no way to recreate that.’ It’s so fun when you can sit down with someone and say, ‘Oh, that’s easy. Here’s how it’s done,’ and you watch their hair fly back, going, ‘Wow, this is the real deal. I’m actually learning how to do this!’” Learn more about Recording Connection for audio engineering, music production, live sound, Ableton, beat making and more. Congrats to recent Film Connection for Film Production & Editing graduate Caitlin Cooke who just wrapped production on her supernatural drama “Paralysis.” Speaking of the experience, Caitlin says: It is one of the first horror/supernatural projects the studio has worked on, so it has been a challenge to think and work out ‘How exactly are we going to do this?’ Especially when it came to the lighting and costuming of the creature…yet, so far, everything looks ‘spooky’ and that ‘eerie’ type of scary rather than ‘gory slasher flick’ type of scary, which is what I prefer. When I first thought of presenting this project, I originally thought no one would want to work on it because of how crazy and the weird the ideas are. But, luckily, I have an amazing team [made up largely of Film Connection grads and students] that is willing and supportive of this wild ride.” *Attention RRFC students: Would you like to be in our newsletter? Then, blog about your experiences. Tell us your story! 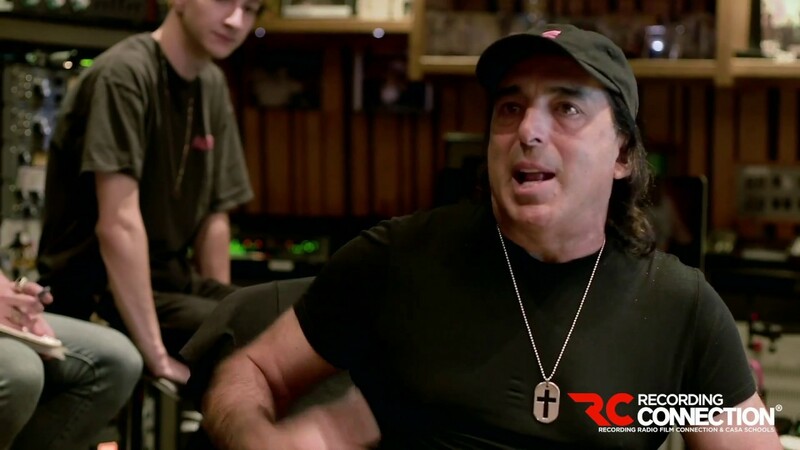 Take a look inside the 2nd Annual Csaba Petocz Master Class with CHRIS LORD-ALGE at Mix L.A. Studios Los Angeles!